I have had a debaucherous week. My poor, poor bank account. I spent last weekend in Las Vegas with three of the most fun girls I know. 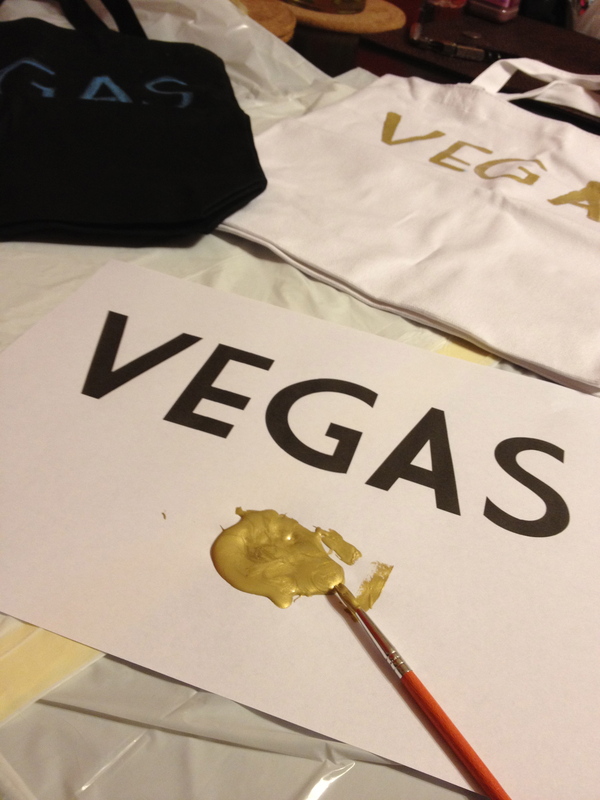 We partied, we tanned, we drank champagne, we gambled – you know, all the typical Vegas weekend things. 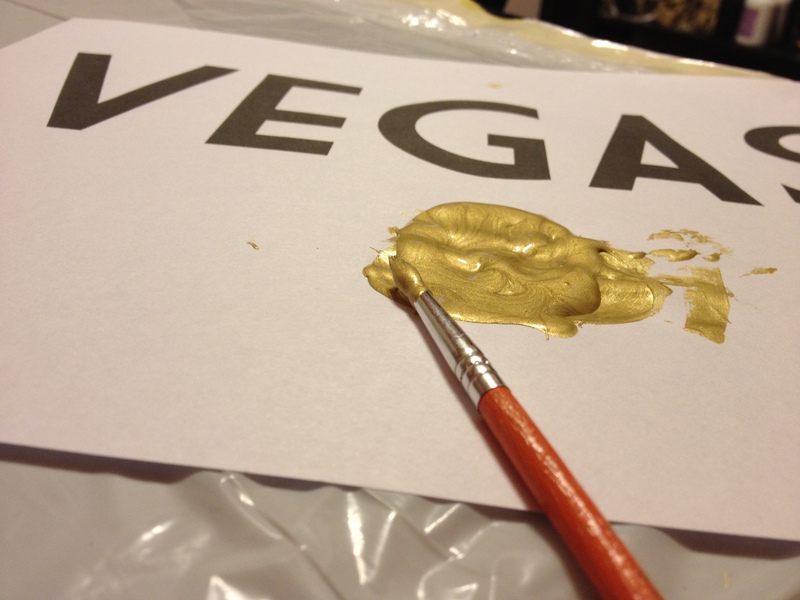 But you know how Vegas gets. You can order a $20 roll of sushi that is about the size of a nickel. You can bet $50 on black and lose it in the blink of an eye. You can pay $20 for one single Vodka RedBull. So that is why before we left, I put together two bags for our weekend. These bags were going to keep us entertained, glamourous, and on budget. I bought two bags to begin. One black and one white. I wanted to stuff them with fun things that we might need throughout the weekend. 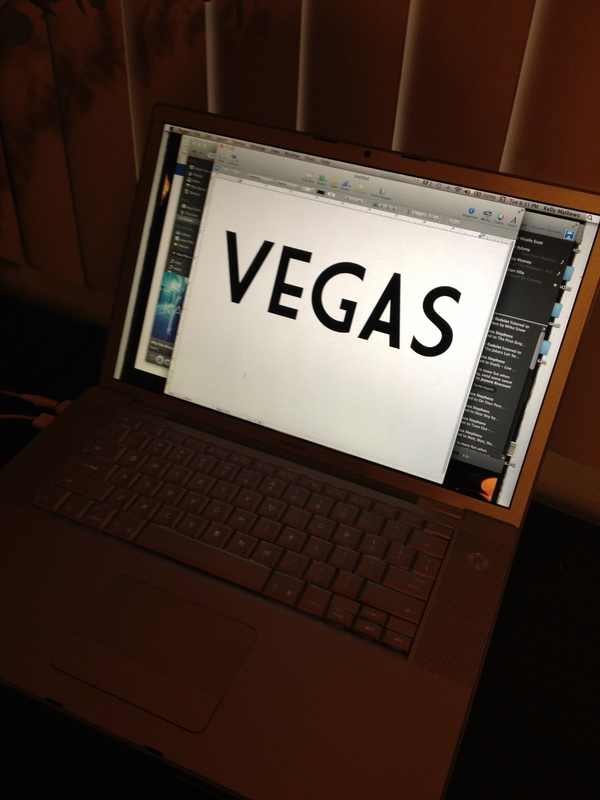 I cheated a little and printed out “VEGAS” in a great font to get started. 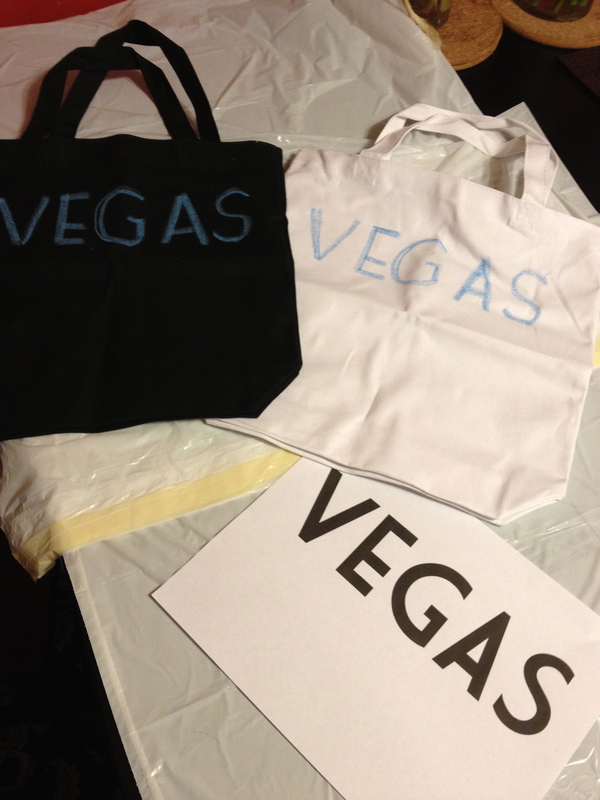 Then I stenciled it in chalk onto both bags, black for night, white for day. …which I had to promise Brad I would clean up as SOON as it was stuck on there. 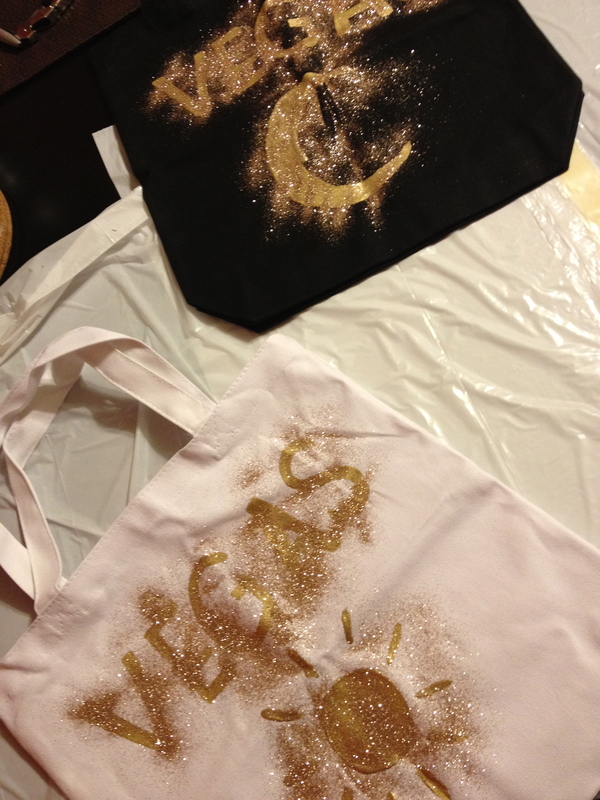 The day before we left, the bags were totally dry (and all glitter was cleaned off the dining room table). I stuffed the daytime Vegas tote with sunscreen, magazines, crossword puzzles, fruit snacks, protein bars, and silly sunglasses. 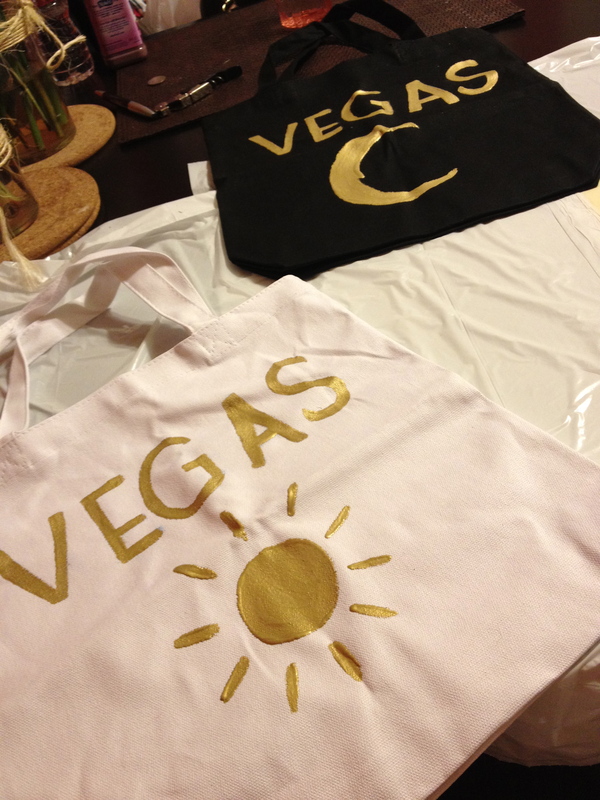 The nighttime Vegas tote was stuffed with lotions, fun jewelry, a few bottles of vodka, hairspray, nail polish, and a bottle of champagne. 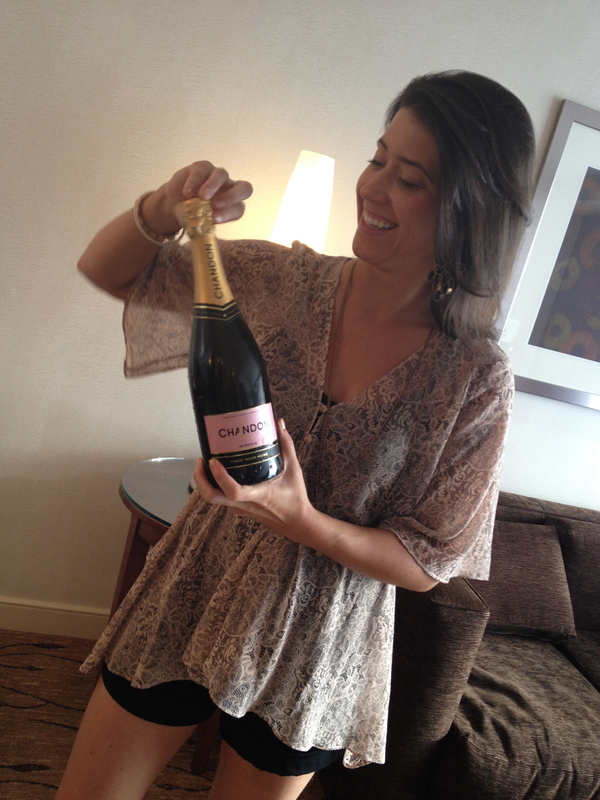 But I assure you, the champagne was completely gone.